Whenever we have a software problem at the Software Sustainability Institute, we simply ask Steve. He’s our in-house software architect and all-round guru of code. Then we got to thinking: it’s selfish to keep such a valuable resource to ourselves, we should make Steve’s knowledge available to everyone. And that’s when the idea for this blog was born. So what is Ask Steve? The idea is that you can email Ask Steve with all your software troubles and queries. Each week or so, Steve will work on a problem and post his answer to the blog. You can comment, try out the solution or simply get back with another question. Although he’s a crack developer of fortune, Steve is but one man, so he can’t promise to answer all the questions he receives. Instead Steve will sort through the questions and answer ones that trouble the most people. Got a software problem? 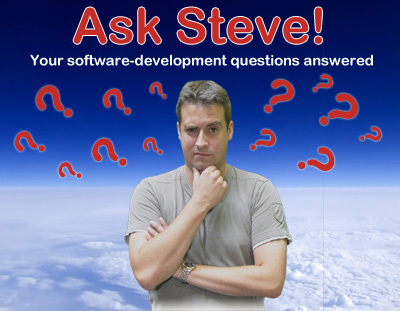 Ask Steve at asksteve@software.ac.uk.